I have such a fun-filled weekend in store and it will be here before I know it! Between my normal mommy activities plus my blogging duties and getting everything ready for my trip, I know this week is going to be crazy for me. 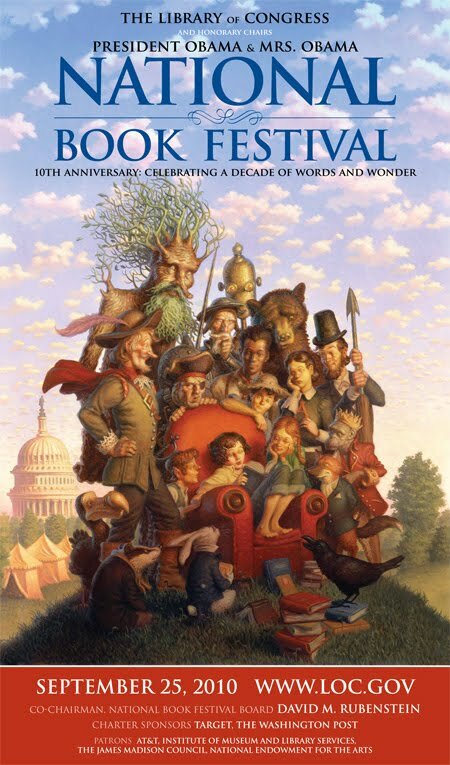 On Saturday morning, I will be getting up bright and early to head to Washington, DC for the National Book Festival. Despite having lived in the DC metro area for almost 10 years (and still living only two hours away), I have never attended. I can't wait because there are so many terrific authors on the schedule. Plus, I will get to see so many of my blogging buddies! And, then on Sunday, I will be attending the Baltimore Book Festival. The schedule of events is fantastic as well, and I am fortunate enough to be part of the panel on Book Clubs which takes place at 3:00. I am also looking forward to The Wonderful World of Book Blogging Panel which is at 1:00. If you are planning on being there, please let me know! I will be sure to post about both of these fabulous events next week! I understand what you mean Julie. The schedule is nuts all by itself. Add in a trip, and you've got some chaos! But fun chaos! While you are romping with bloggers up there, a few of us will be romping at SIBA. Here is to an awesome weekend!!!! I cannot wait!! I have to count on you and others to lead me around. I don't know DC/Balt very well at all. I wish I could clone myself and be in two places at once next weekend! I hope you have a blast! Have fun at the book festivals! They sound great! I won't be at the D.C. festival this year, but I hope to be at the Baltimore one with hubby and The Girl in tow! Hopefully we'll see each other there. I'm so glad for you that you are going. I hope you come back with lots of pictures!